Want to put a charge in your career? Consider working as a lineman (also called a lineworker) or electrician. 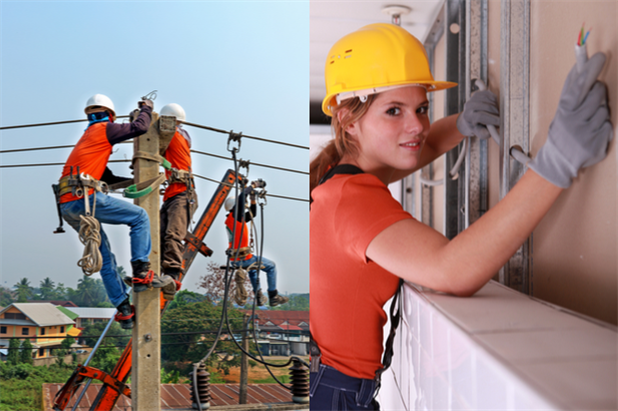 These two jobs are often confused with one another, but the only thing that really ties them together is that both professions focus on electricity. Linemen work outdoors, helping to install and maintain power transmission lines, while electricians focus on indoor wiring and electrical distribution systems. Both occupations offer solid paychecks and great opportunity. However, entry-level job seekers often have a hard time deciding between the two. To help them and others understand the different requirements for both jobs, we put this short guide together. Read on to see which sparks your interest! Individuals interested in becoming linemen or electricians must begin with low-paying apprentice programs before advancing over time to become journeymen and then master linemen or electricians. This process can take 7–10 years. Both professions require a union ticket issued by the International Brotherhood of Electrical Workers (IBEW). Licensing is done based on the state regulations for training and classroom hours, exams, and other requirements. For the lineman profession, a transmission and distribution certification by OSHA is required too. A class A driver’s license is also required in most cases. Electricians often learn the trade in technical schools—two-year community college programs can be an excellent start for people in this profession. For specific types of wireman work, certification by different organizations and councils may be required. Linemen (or lineworkers) are the brave professionals with no fear of heights who climb up tall poles and towers to work on transmission lines. You can also thank these skilled individuals for doing the tasks necessary to power our homes, offices, and just about anything else you can think of that requires electricity. That’s not all though. Linemen also fix the telecommunication cables we all rely on to stay connected with the rest of the world. In short, these people make modern life possible. Licensed high-voltage outside linemen work multiple stories above ground (and sometimes in underground cable vaults) and handle very dangerous power lines that are used to deliver electricity from power stations and substations to our homes, hospitals, schools, businesses, and just about anywhere else electricity is needed. 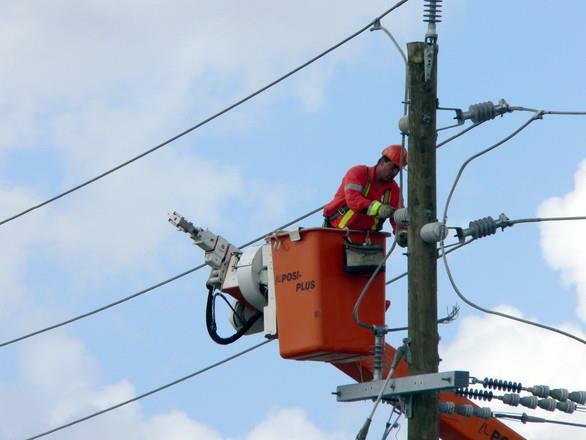 To do this safely, linemen use special footwear, bucket trucks, ladders, and sometimes spikes for climbing. High-voltage linemen sometimes use helicopters for extreme heights too. The work is dangerous, intensely physical, and done in sometimes harsh weather conditions. It is no wonder that linemen go through intensive safety training for climbing, working with electricity, and handling first aid and rescues at great heights. They use a wide array of specialized tools for handling extremely high voltage as well as a set of extensive personal protective equipment (PPE), which can include Faraday cage suits and others. Most linemen are employed by a specific power provider to perform the installation, maintenance, and repairs of the company’s infrastructure. Others work for bigger contractors and can be called to join projects on different infrastructures. Lineman Salary and Job Outlook: According to the Bureau of Labor Statistics (BLS) the median linemen salary in May 2016 was $62,650, but it has been rising since and depends on the licensing level and the region. Apprentices can expect to make between $18,795 and $31,325 to start. Employment for linemen is projected to grow 6% from 2014 to 2024, which is about as fast as the average for all occupations in the US. 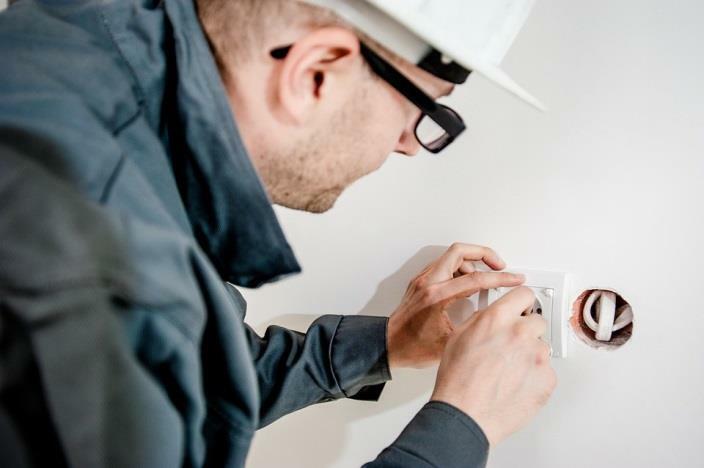 Electricians work in many settings and across several specialties including residential, commercial, industrial, and low-voltage, among others. They handle significantly lower voltages than linemen and install/maintain indoor wiring and electrical distribution systems. Work hours and locations for this profession are also much more predictable compared to a lineman—electricians? can be called into fix a problem at any time of the day or night, often travelling to distant places and completing tasks during storms. Electricians may need to work in confined spaces or outdoors for those who specialize in solar and wind power systems. They can deal with systems ranging from 5V alarms to 230kV industrial power systems. Electricians also have a wide range of specialized equipment, and they too need to wear PPE, but not to the extent linemen do because they most often work on the wiring only after the electricity has been cut off. Electrician Salary and Job Outlook: An entry-level electrician salary is about $40,000 per year, and the average annual salary in 2016 was $52,720 according to BLS, but of course this can vary depending on the specialization, employer, and location. Employment is projected to grow 14% from 2014 to 2024, which is much faster than the average for all occupations in the US.